It may be hard to imagine that all the players in an industry that automates large buildings have not yet made it over the digital divide, but it is true. 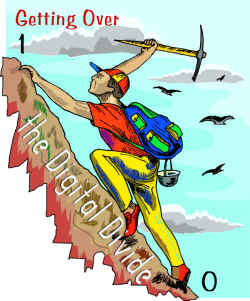 For the purpose of my column let me define who is online and who is not as the "Digital Divide". This term is usually applied to the digital "haves" and the digital "have-nots" of our society, but to a lesser extent the same phenomenon exists in industry. Getting all players on the correct side of the Digital Divide is important to allow our industry to grow rapidly while competing for its convergence share. Last month's column stated "In the next few months, with the assistance of the automation industry, I am going to improve our online education with linkage to existing online education." Achieving this goal is useless if our complete industry is not online. The majority of the industry's movers and shakers are online with high-speed access, but many of the industry implementers that make the concepts happen aren't, or have equipment and or access speeds that severely restrict their performance. The difference of viewing online information with high-speed connection versus modem speed creates its own digital divide. The mind wanders while waiting for large files to load via modem, whereas rapid access to one file leads to access of the next file, which may contain useful information. If the file we need to print for the manual to install today's project takes an hour to load it makes the print on demand technology useless. Many successful Internet concepts require high-speed access to work. Viewing or trying to work at low speeds creates frustration and seriously questions whether Internet information anytime, anywhere works. Does everyone in your workplace have access to high speed internet? Often workers have better access at home than workplace. To get to the next level of today's digital game requires improved high-speed access for all. If installers and service techs are going to use online information in their daily jobs they must have high-speed access. Online tools must be well defined and good online resources identified to create a virtual support infrastructure. Everyone from the secretary to the CEO must be online. Everyone does not need a workstation as common areas can be turned into virtual libraries with shared workstations with high-speed access. The corporate web site should be the corporate community and so reflect the direction and feelings of the people, not some web design firm. The always-online corporate community, accessible from anywhere allows today's mobile companies to stay in touch. The digital camera allows relative and rapid web information generation including: 1. 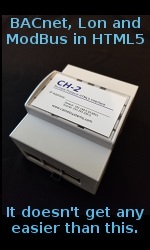 Here is the actual product installed in our customer's building; to 2. The company sponsored quality of life winner. It is important that everyone in your camp is over the divide to proliferate and sell the online digital world as part of the building fabric. The Automation Team as well as ensuring technical correctness, must lead the acceptance of the new technologies by the customer. Workforces designing, installing, commissioning and servicing today's automation systems must conceptually understand the new rules of the online building. How can they do this if they aren't online? Understanding the digital revolution that is occurring and choosing leading edge solutions that will exist several years from now is what we do. It's a tough job and requires work as a team with complete knowledge of the online world. The last person over the hill provides insight into how the hill looks from the other side plus how we can make the digital divide disappear. It addition to re-educating ourselves we are now in the business of re-educating our customers and helping them get their players over the hill. I am convinced a large part of this re-education must be online and that the media is a very important piece of the education process. Designing online experiences will need to include the complete scope from concept to techno-babble, but more importantly how our concepts and products fit into the customer's online community. The area that our industry now needs to address is the studying of customer's online presence and matching building interfaces to suit. Some .com campuses are providing great examples of leading/bleeding edge online interfaces. It is important that as an industry we follow the evolution of these interfaces because by definition these customers are completely over the digital divide and today look like all our future clients will.